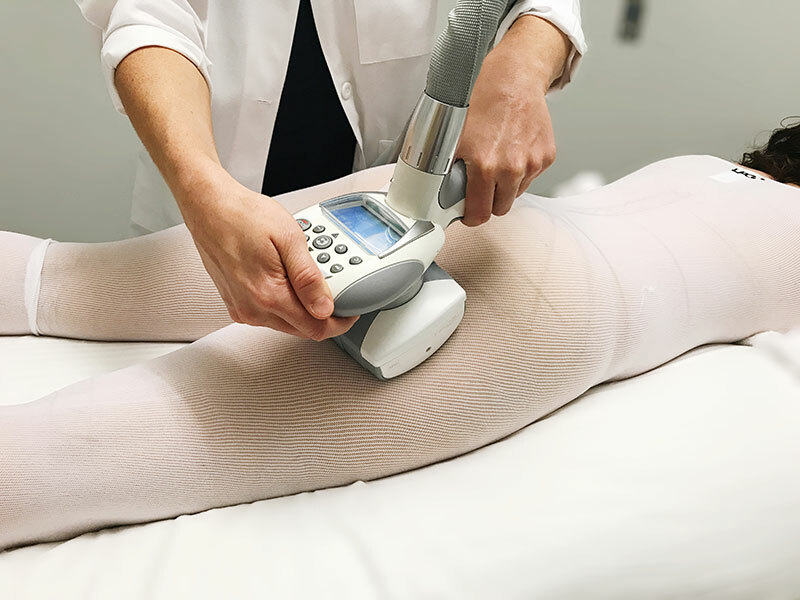 Endermologie is the only FDA-approved method to reduce the appearance of cellulite. 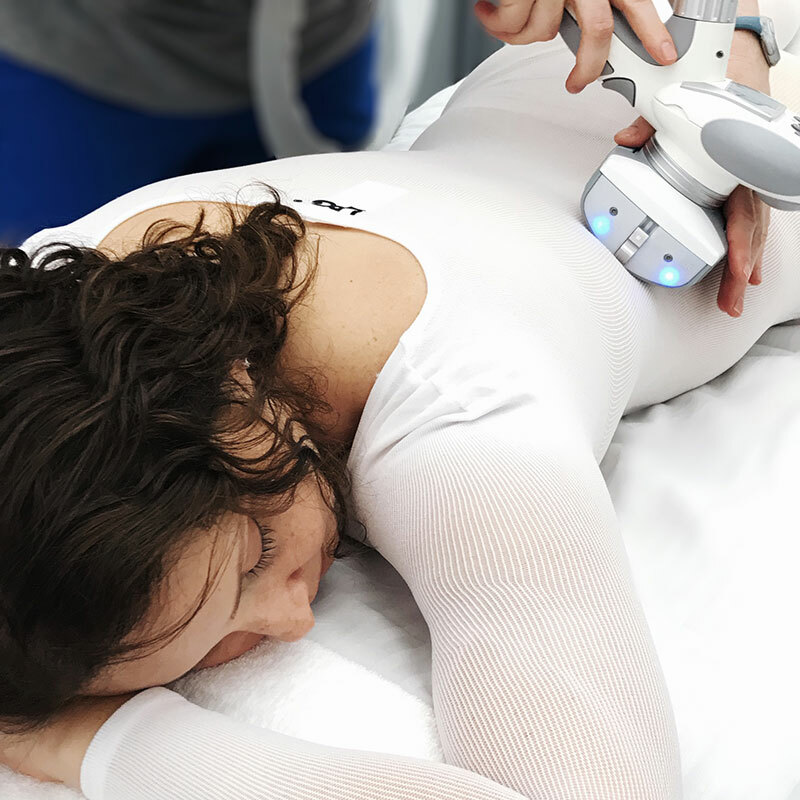 Vacuum suction and motorized rollers massage the skin, mobilize the connective tissue, and increase circulation, all of which combine to facilitate the exchange of fluid and clearance of fat. The ultimate result is a dramatic decrease in the appearance of cellulite. Endermologie is also used to relieve muscle aches and relax muscle spasms. Individual treatments start at $110. Packages are available. What is vibration therapy? The concept is simple: you step onto an oscillating platform that vibrates 7 to 28 times per second, and these vibrations fire off contractions in your muscles. With whole body vibration, your muscles safely contract 7 to 28 times per second! An increase in circulation and lymphatic drainage may help to cleanse toxic buildup from the body and increase oxygenation in the blood. The multiple muscle contractions per second create an increase in blood circulation, and movement in the lymph system. Increased circulation and lymphatic drainage enables your body to dispose of the dead fat cells more efficiently and effectively. Our body brushing treatment is an intense form of exfoliation and skin rejuvenation. The long, sweeping brush strokes not only give a relaxing sensation, but also stimulate circulation and drain the lymphatic system. Body brushing also helps to clean your skin of chemicals found in common soaps and body cleansers. reflexology massage, and body brushing. Contact us today to schedule a consultation.